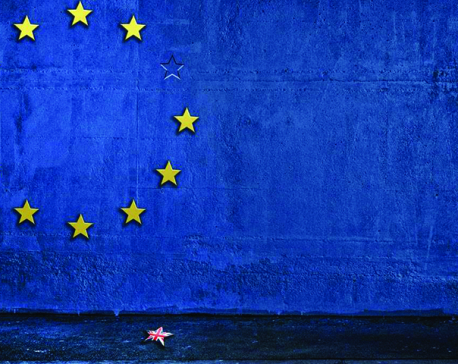 BRUSSELS – The populist revolts in the United States and the United Kingdom have each reached a critical juncture. At the start of his third year in office, US President Donald Trump is presiding over the longest federal government shutdown in history. Having painted himself into a corner, he remains largely at the mercy of congressional Democrats to negotiate an end to a crisis he created. Likewise, British Prime Minister Theresa May, having failed to secure parliamentary approval for her Brexit deal, now must negotiate either with the opposition Labour Party or with Tory Brexiteers and the Northern Irish Democratic Unionists who prop up her government. Meanwhile, diplomats and politicians in Brussels have been deeply regretting May’s latest setback. 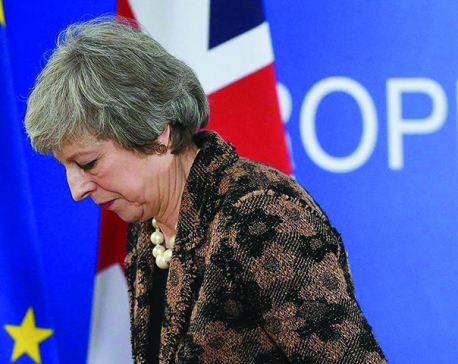 After all, the agreement that was voted down was not just “May’s deal” but also the “European Union’s deal”—a point that has been lost on too many British MPs. Given the “red lines” that May drew around limiting immigration and removing the United Kingdom from the jurisdiction of the European Court of Justice, the deal she reached is nothing if not balanced. By settling financial obligations and offering certainty both to EU and UK citizens caught in the crossfire, it provides for an orderly divorce. Moreover, the political declaration accompanying the divorce agreement lays the groundwork for a close and enduring future relationship between the UK and the EU. Both sides have committed to negotiating a post-Brexit settlement quickly, which means the contentious “Irish backstop”—a necessary safeguard for preserving the Good Friday Agreement and peace in Northern Ireland—will never have to come into play. To be sure, “Remain”-orientated Conservative and Labour MPs have complained that the political declaration is not prescriptive enough, while Brexiteers argue that it is too prescriptive. But the EU made clear from the very start that a divorce treaty must be concluded before the details of the future relationship can be negotiated. No amount of griping will change that now. Besides, the framework outlined in the political declaration can still be revised in the coming weeks. For example, Andrew Duff, a Liberal Democrat Remainer, has suggested that a UK-specific conceptualization of the free movement of people or customs-union membership could break the parliamentary impasse. 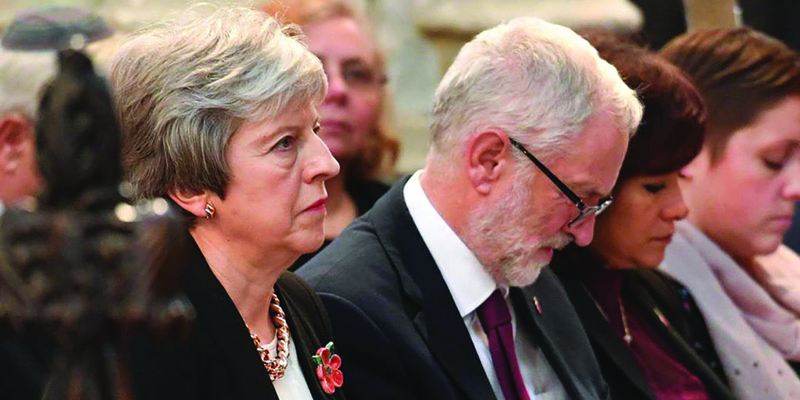 But while British politicians will no doubt find new doors to open, whether they can reach a multiparty agreement on which one to walk through remains uncertain. Cross-party solutions do not come naturally to the UK’s bipolar, adversarial political system. And yet, where there’s a will, there’s a way to put the national interest before narrow partisan concerns. A multiparty approach is, of course, familiar to continental European politicians. EU legislation regularly ends up being finalized through late-night negotiations between MEPs and ministers who have locked themselves in a room to thrash out the necessary compromises. A cultural shift toward an EU-style “co-decision” process could well win the support of the British public, as well as of European Brexit negotiators, who have been eagerly awaiting a more representative position from London for two years now. And if British political leaders are to have any hope of uniting their bitterly divided country, they will have to lead by example. Looking ahead, the EU will remain somewhat flexible, as it has from the start. What it will not tolerate are attempts by British politicians—Labour or Conservative—to settle domestic political disputes by dumping them onto European policymakers’ shoulders. In this context, British requests to extend the Brexit negotiations should be assessed in good faith and granted if more time is needed to settle technical matters. But no extension can go beyond July 2, 2019, as that is when a new European Parliament will be seated, following an election in May that will be a battle for Europe’s soul. With populists in Hungary, Poland, and elsewhere campaigning against the EU’s foundational values, European politicians have much more than British domestic political squabbles to worry about. As for the Remainers seeking to overturn the 2016 Brexit referendum, they should remember that the UK need not remain outside the EU forever. The current deal on the table would not prevent Britain from reapplying for membership, even during the transition period. To my mind, it is almost inevitable that some compelling young British politician will emerge one day to lead the UK back into the EU, where it belongs. But for now, the clock is ticking, and those who will be the most adversely affected by Brexit—including British businesses, young people, Britons living in the EU, and EU citizens living in the UK—deserve an orderly withdrawal. Given that a chaotic countdown to a disastrous “no deal” Brexit—in which the UK crashes out of the EU single market and customs union – would poison UK-EU relations for decades to come, no responsible politician should even entertain the possibility. It is time for British politicians to come out of their trenches and start talking. Only Britons can move their politics from adversarial zero-sum brinkmanship to constructive consensus-building. Such a change in the UK’s political culture is long overdue.